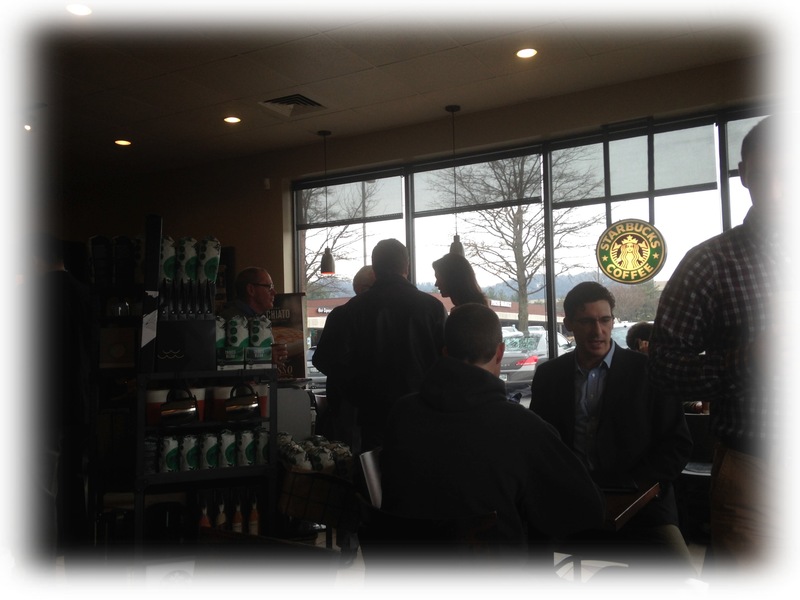 The old man held court in the corner of the coffee shop. It seemed every other person, who came through the smudged glass door and braved the blinding rays of sunshine cast through the wall of windows, made their way to his table. He smiled and greeted each one with, “It’s a beautiful day isn’t it?” His salutation seemed amusing, given the fact that it was freezing outside. The younger crowd could be heard mumbling throughout the room about the unexpected drop in temperature. It’s all in the perspective I guess. As I watched him entertain a young, long-haired coffee shop employee on a break, then take company with a frazzled sweat-clad, errand-running mom, talk to a dad with a young child, and congratulate a pregnant woman, I looked on in fascination and remembrance that–even in this fast-paced technology-driven world where I frequently communicate with my own husband, daughter and son, via text message– we are still in need of personal, face to face, one on one, affirming, loving and entertaining socialization. Years ago, this same older gentleman might have found a seat out on a park bench in the town square or down at the corner hardware store. 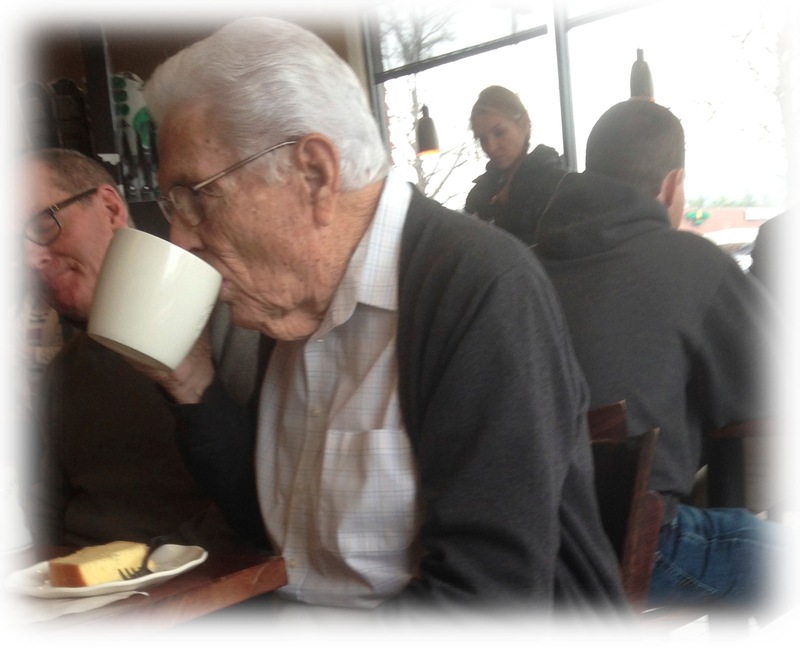 But his well-placed position here in the coffee shop serves him well as he caters to the needs of a younger generation more desperate than they know for his words of wisdom. We were created to live in community. No matter how much we feel Facebook connects us into an online world of communal living and no matter how we feel connected to our tribe through the 140 characters allowed on Twitter, we still need some real genuine, authentic, in person, huggable, loveable, face time. The little girl hugged tightly to her daddy’s arm with the biggest, sweetest smile on her face. The older gentleman reminding her dad of the innocence and beauty he was charged with protecting. The frazzled mom in her peach sweat suit, took time to talk to the little girl eye-to-eye, attention full on, and was quickly rewarded with a big bear hug before the girl followed dad out the door. The older gentleman and the mom were beaming. And I wasn’t the only one watching. Several people stopped to watch it all; the hope, the promise, the expectation that all will be well with the world regardless of how it sometimes seems we are losing our societal grip. Sure, that little girl will probably open up a new iPad on the next Christmas morning or text her friends on her new iPhone; but today, she stopped to smile at the old man, to hug the frazzled mom, to cling tightly to the daddy who loves her more than anyone else. The old man’s attention turned to another visitor who came straight to his table. This one was sporting a new engagement ring and anticipating a brand new life. He gushed right along with her. Then, one by one, each visitor went out the smudged glass door with their backs to the rays of sunshine. 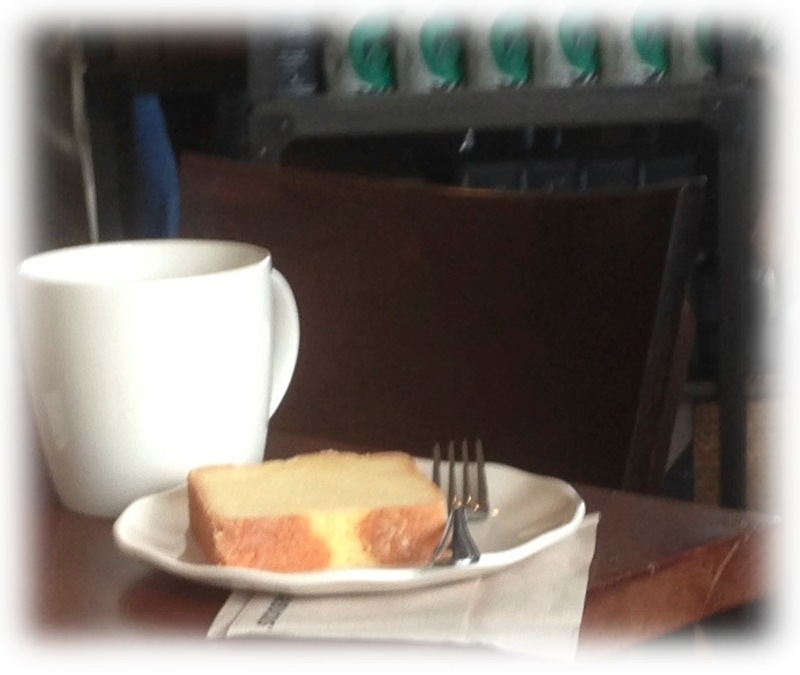 He reached for his coffee cup and, with a shaking hand, picked up his fork to finish off a piece of lemon cake. He’ll probably be back tomorrow. You could tell from the steady stream of visitors that he is here a lot, in his corner seat holding court, for anyone who has time to stop and talk. Very sweet commentary. Yes, times have changed but the fact that we need community has not changed. People in my generation and my parent’s generation are appalled at the lack of personal interaction there seems to be in our society. I appreciate you pointing this out in such a tender study of this man’s daily visit to a local coffee shop. Glad to know your heart yearns for this type of interaction again in our day as much as I do. Let’s have coffee some time.